The second generation Pontiac Firebird TransAm was built from 1970 to 1981. 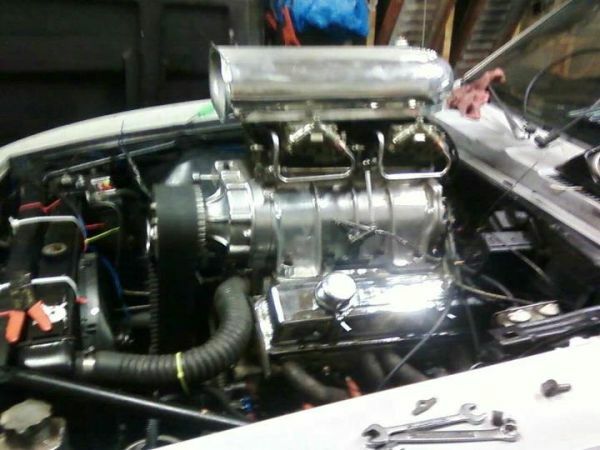 It was an evolution of the classic muscle car and featured a lineup of front mounted V8s, a sporty 2+2 body and rear wheel drive...at least until someone raises it 6 feet and mounts it on tractor tires. 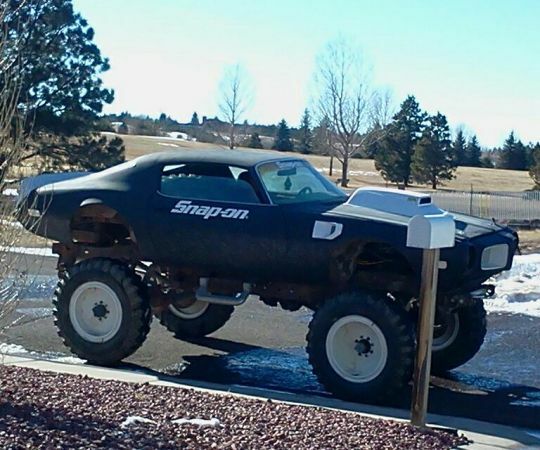 This undisclosed model year Pontiac Firebird TransAm monster truck is offered along with a supercharger (currently attached to another vehicle) in exchange for a 1st or 2nd gen Camaro in Denver, CO via craigslist. It is hard to understand where you'd drive the TruckAm other than over every other car and probably over lots of sidewalks as well. Very limited information is given in the ad as to the build specs of the Monster TruckAm and the one photo shows a matte paint job and a gigantic unfinished hood scoop. The TransAm body looks to be sitting on a ladder frame from some manner of pickup truck, and we hope it's securely fastened and not "just setting" up there. No mention is made of engine, drivetrain, suspension, etc so this could be a frame from literally any pickup with a similar wheelbase as the body. We'd guess it's a short wheelbase fullsize GM, but perhaps the 8-lug wheels are a clue to the identity of the donor.